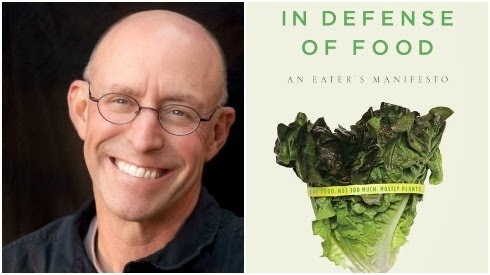 Michael Pollan (pictured above, with lettuce) writes about food. In an article that appeared in The New York Times Magazine on Sunday, May 3rd, Pollan also wrote a little bit about the law. His article, which is very much worth reading, is headlined "Altered State" in the print edition. The article references "some 200 class-action suits...filed against food manufacturers, charging them with misuse of the adjective 'natural' in marketing." Pollan's article explores what "natural" means in this legal context, and what it means when that word "natural" is applied to food, and when the word is used in other contexts, too (for instance in the context of a discussion about marriage equality). I was struck by Pollan's claim, made early in his article, that the "most incoherent" of our explanations of "natural" is "the notion that nature consists of everything in the world except us and all that we have done or made." Anyone who has been following my posts in this Two Worlds blog might well think that this is exactly the distinction that I accept as my basic premise. Actually, that would be pretty close to being right, but I am not sure that Pollan and I are really at odds. I posit our existence as occurring in "two" worlds, a world of Nature, in which we ultimately reside, and a human-created world in which is we live most immediately. Pollan is clearly talking about one world only. Since we live most immediately in the human-created world, any mention of, or discussion about "the world" almost always means the world of our human-created reality. Our human-created world is, indeed, comprised of "all that we have done or made," so using the word "natural" to designate anything within that world is, in fact, rather "incoherent," as Pollan states, and maybe even disingenuous. My "Two World hypothesis" is intended to avoid just the problem that Pollan is addressing in his article, by highlighting the fact that there is a part of the reality that defines our existence that is different from "all that we have done or made." There is a world of Nature that is ultimately the world that contains and limits all we do, and we, ourselves, are actually creatures within that "natural" world. It would be "incoherent" to think that we have created ourselves. God, or evolution, or the laws of nature have brought human beings into existence, and the rest of the reality we inhabit is then largely created by what we have done or made. Pollan notes that the word "natural" means something different when that word is applied to biology than when it is applied to human behavior (or to any of our human creations, I would say). Pollan's article does a good job of arguing against claims that something is "natural," and thus "good," because it is "usual," or "normal," or "traditional." Human beings decide what is "usual," "normal," or "traditional," and whatever we decide, there is nothing "natural" about those decisions. Thus, "natural marriage" is a non-sequitur, as Pollan properly states. Human institutions are defined by humans, and we can change our mind, and change the rules. There is nothing "natural" about how we choose to provide and prepare the foods we eat, either. All of those activities pertain to the world of human creation, a world in which there is no inevitability or necessity, and what is "good" is what we decide should be called good. Pollan and I don't disagree about that! Nature, if you believe in human exceptionalism, is over. We probably ought to search elsewhere for our values. I am no fan of claims of "American" exceptionalism. I am no fan of claims of "human" exceptionalism, either. That claim for human exceptionalism is, within the way I characterize our "two worlds" existence, a claim that the only world that counts is the human-created world that consists of all that we, humans, make or do. Ever more often (and ever more stridently), this claim of "human exceptionalism" is being seriously advanced. To the degree that human beings forget that they are radically dependent on the World of Nature, a world we do not and cannot create ourselves, we ensure that our human civilization will progress forward to its ultimate demise. Pure equivocation. Pollan argues that the idea of "natural" has low utility because it's hard to define in the courts with regard to food labels. If anything can be labeled natural, the label is meaningless. This legal outcome necessarily follows from the fact that the appeal to nature is a logical fallacy. Rejection of your Two Worlds hypothesis follows from the same fact.